Plumber East London is your Whitechapel plumber of choice, as we are a local independent tradesman that is fully certified and highly skilled. Contact your locally owned Whitechapel plumber that has operated in the area for 30 over years over two generations. 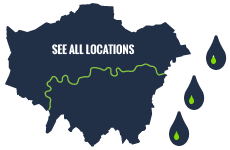 We are located in the heart of East London and are on call 24 hours a day, 7 days a week and we can get to Whitechapel in minutes in case of a plumbing emergency or feel free to call us to book a no obligation quote.